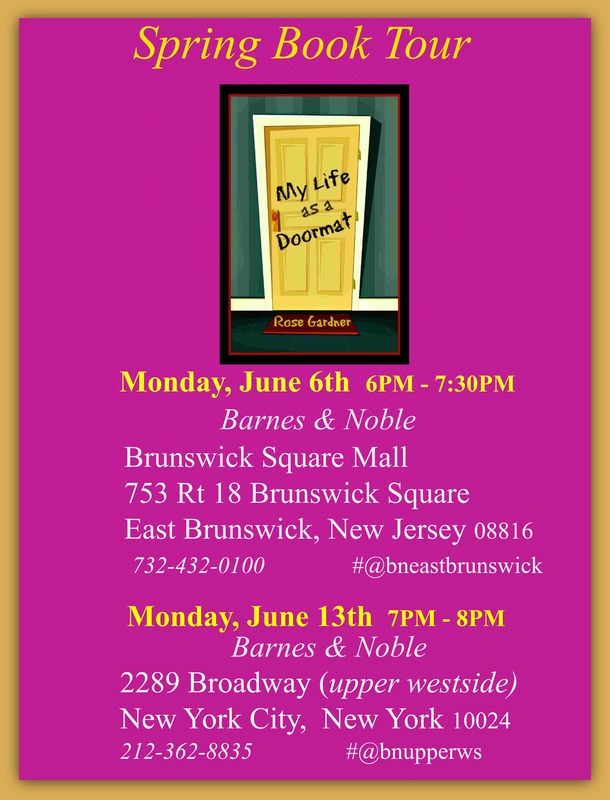 I’m so excited to bring My Life as a Doormat to Barnes & Noble in Manhattan and New Jersey. I’d love to meet you if you’re in the area. If you already have my book, bring it and I will sign it. If not, copies will be available. Below are the dates and times I’ll be there.